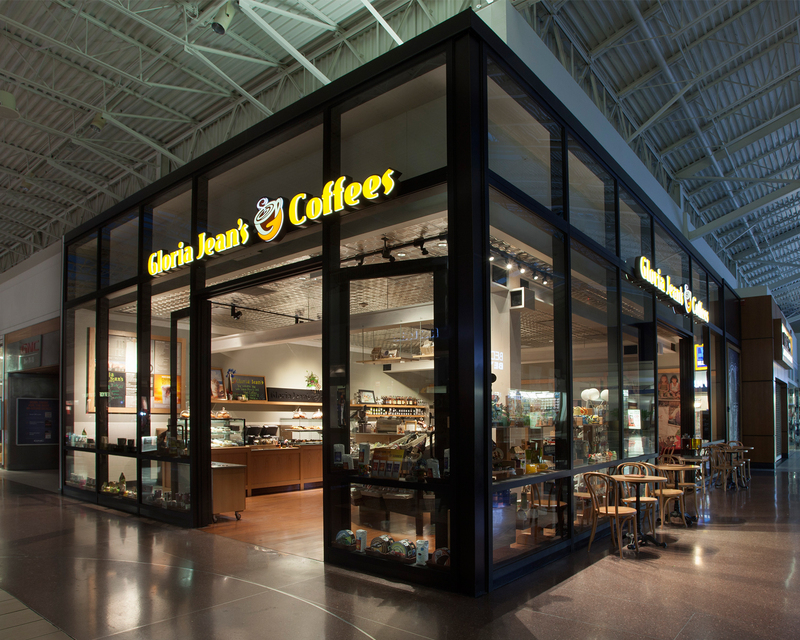 As an international brand that began in Chicago, Gloria Jean’s has grown from its unique positioning around flavored coffees, to a global powerhouse brand, particularly in its new home market, Australia, and increasingly, in markets from India, Dubai and Canada, to the US, among others. This new concept embraces Gloria Jean’s unique commitment to its espresso-based approach to coffees, recognizing the “hot pot” as the anti-coffee delivery method, and seeing the process of creating the perfect cup, from the ethical and environmentally responsible sourcing of beans to the barista delivery a “full flavor” experience. The store environment provides a barista bar where they encourage customers to pull up a stool, engage in conversation, watch the process, and be part of the social network of “regulars” who see a seat at the bar as a destination. The placement of the bar not as a back counter with a series of appliances, but rather in the center of the space, creates a shrine to the art of coffee making; a unique and bold step for the Gloria Jean’s brand. This idea of imparting coffee knowledge and the elevation of the barista to “artisan” (versus counter person) is also unique to Gloria Jean’s.